Barbados is an eastern island of the Lesser Antilles – the chain of islands that form the eastern perimeter of the Caribbean Sea. It is 166 square miles, 14 miles wide and 21 miles long. The name “Barbados” comes from the Portuguese – Os Barbados, which means “the bearded ones”. The total population of the island is 300,000 people, and the majority of local people (Bajans) live and work in the capital Bridgetown. 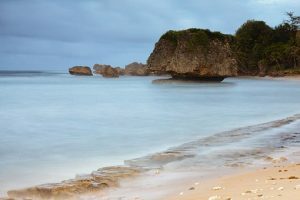 Bathsheba is a little fishing town located on the eastern coast of Barbados. It became famous for its beautiful beaches and delicious cuisine. 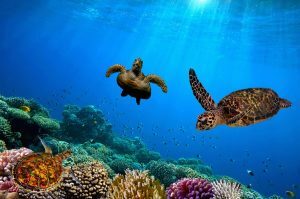 It is a perfect place for a family vacation, where you can enjoy the blue ocean and sandy beaches. It is also a great place for a weekend trip, during which it is possible to enjoy watching whales and dolphins. 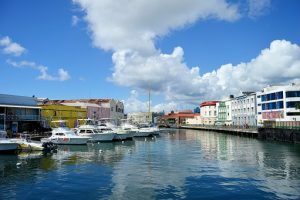 Bridgetown is the capital of Barbados and is the most popular destination in the West Indies. It attracts tourists by its unique colonial architecture, busy nightlife, and rich history. There are many places to see in Bridgetown. You can either walk around the town, try local food in one of the restaurants or to get more cultural experience and go to a gallery or museum for example. One of the must-visit places in the capital of Barbados is Barbados museum, where visitors can learn more about the culture and history of the island. It is one of the most visited tourist attractions in Barbados that is owned by the Barbados National Trust. It is located in the town of Bathsheda and has the territory of 6 acres with magnificent gardens with exotic flowers and tropical trees. 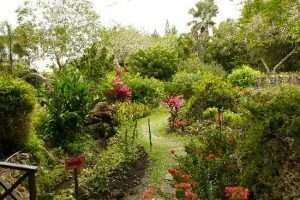 Visit these gardens is a unique garden and nature adventure, as well as aesthetic pleasure. It is a beautiful and unique historical building built more than 300 years ago by an English planter Matthew Chapman. Visit this attraction will allow you to immerse in the history of the island: there is a rich collection of mahogany antiques, horse-drawn carriages and old prints. It is a natural unique mahogany park located in the northern parish of St. Peter just across the road from the Farley Hill National Park. Here visitors get a unique opportunity to get close to nature and enjoy watching different exotic animals in their natural habitat. Being the capital of Barbados and commercial center of the island, it is not surprising that this city is the main place for the great shopping experience. It is full of huge malls. Souvenir shops, specialist stores, and food markets. If you come to Bridgetown especially for shopping, the primary must-go location is Broad Street. It is a very authentic place on the outskirts of the capital of Barbados. It is known as the area of locally produced crafts and arts. 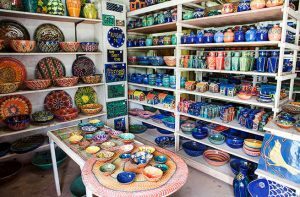 The stores in Pelican Village are full with such unique local items as island paintings, hand-made jewelry, tropical plants and flowers, delicatessen, and etc. If you need luxurious high-level shopping, then the Limegrove Lifestyle Centre located is the place to be. Those who have a higher budget will easily find stores to spend money: Michael Kors, Hugo BOSS, Ralph Lauren, and many others. This center with 100,000 square feet is a true paradise for shopoholics. 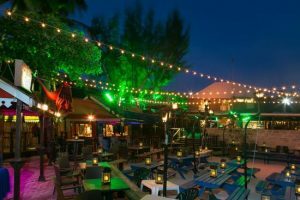 When it is getting dark in Barbados, it does not mean that the day is over because the island is famous for its rich and exciting nightlife. There is plenty of options on how tourists can spend their time after dinner. They can go to a local bar or restaurant for a drink, dance in one of the nightclubs or attend a dinner show at a dinner theater. Whatever you choose – do not waste your time because Barbados is the place to have fun – both during a day and at night. 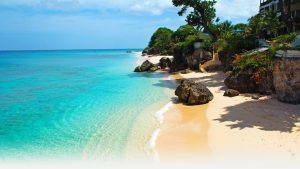 Barbados, with its rich variety of attractions, tropical nature, and golden beaches, remains one of the most popular tourist destinations. 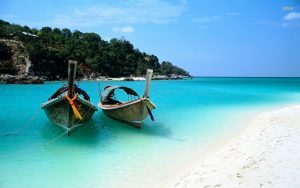 Regardless of your idea of a perfect vacation, this exotic island is a place to be: it will give you an unforgettable experience and the whole range of impressions.